Kundalini Meditation: How Can It Help Me To Recover From Addiction? Kundalini Meditation: Can It Help Me To Recover From Addiction? Kundalini practitioners believe that a great energy is concentrated at the base of the spine. From the time of your birth, this energy, combined with consciousness, has been focused, coiled, awaiting a great spiritual awakening. This consciousness and energy can be released by meditation and will flow up through the chakras of the body, expanding consciousness. 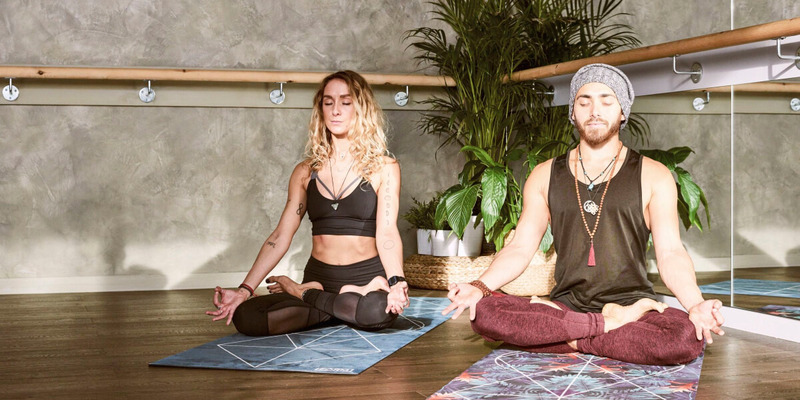 If you are struggling with addiction, and working on your recovery, meditation is an excellent way to connect with your spirituality. Deep breathing and focusing on your breath for at least a few minutes daily is a great way to start. As thoughts and distractions pass through your mind, you can learn to let them go without attachment. As you focus on your breathing, in and out, visualize the energy concentrated at the base of the spine. Your spiritual energy will help you to overcome your addiction. Even if you are receiving medication assisted treatment for opioid addiction, you can greatly benefit from the spiritual practice of Kundalini Meditation. Kundalini Yoga is an ancient practice, originating in India. Yet, to get the benefits of this practice, you can still meditate in the Kundalini style without being a master. Simply practice your breathing exercise every day and learn about the energy centers of the body. Hold an image in your mind of these centers as you breath and relax. Most importantly, focus on the consciousness and energy coiled in the base of your spine. The crown chakra is at the top of your head. Imagine the energy and growing consciousness expanding through all energy centers and all the way up to the crown chakra. This energy will push all bad feelings and thoughts away with overwhelming positive energy. Interestingly, Kundalini comes from Hinduism in India. Yet, do not think of it as a religious practice. It is simply the spiritual practice of allowing your divine energy, coiled at the base of the spine, to expand to your chakras. You do not have to be a Yoga master to get started. How will Kundalini keep me clean from drugs? For nearly a century, people recovering from alcoholism and addiction have practiced the 12 steps. These steps are a form of spiritual practice. In fact, the 11th step is all about prayer and meditation to improve consciousness and your connection with a higher power. So, what sort of meditation do you practice when you work the 12 steps with a sponsor in AA, NA or another 12 step program? Fortunately, you get to choose. Yes, you get to explore and choose what form of meditation works best for you. The power of Kundalini Meditation, working towards enlightenment and an awakening, may be something to consider. Do I have to wait to get started with Kundalini Meditation? When it comes to working the 12 steps, your sponsor will tell you that you must work them in order. Since it can take as long as a year to work the steps, does this mean you have to wait? Will it take almost a year of being clean to get to the point of trying out Kundalini Meditation? No, of course not! In fact, the 11th step is the only step which you should work out of order. Yes, you are free to pray and meditate from your very first day clean from drugs or alcohol. Since Kundalini Meditation begins with simply breathing, it is quite easy to start right away. Simply take a deep breath in through your nostrils. Then, slowly breath out through your mouth. Focus on where the breath enters and leaves your body. Additionally, I recommend studying various Kundalini references online and viewing some Kundalini Yoga YouTube videos that teach these principles. You may even want to consider combining this practice with meditative audio programs as described in this article about sacred acoustics and binaural beats recordings. This could be the start of a wonderful, fulfilling new practice that will bring peace and happiness to your life.